The Smithsonian's National Zoo and Washingtonian magazine are asking for the area's youngest animal lovers to help in welcoming elephants to their new Elephant Community Center. The Community Center, which opens to the public March 23, will provide the Zoo's elephants with a new space to socialize, train and play while giving visitors a unique opportunity to get an up-close view of these amazing animals in action. To help the elephants feel at home in their new space and increase awareness about wildlife conservation, elementary-aged students in the D.C. metro region are encouraged to write letters to the elephants welcoming them to the Community Center. Tell the elephants about a time when you had to move into a new house, classroom, city or state -- or write about another change you've experienced and describe how it went for you. 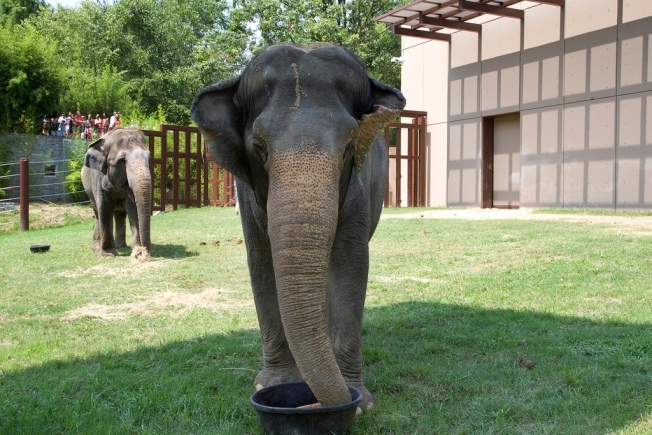 What tips do you have to help the elephants prepare for their big move? Tell the elephants why it's important that their friends in the wild be conserved. Write to them about what you are already doing or what you hope to do in the future to make a difference in the lives of these animals. Washingtonian will publish a selection of the most outstanding letters on its website beginning March 4. Winners of each grade level category (kindergarten and first grade; second and third grades; and fourth, fifth and sixth grades) will be announced March 14 and will be invited to visit the zoo March 21. The winners will then read their letters at a press event and get a sneak peek at the new Elephant Community Center before its grand opening. The entries will be judged on a basis of creativity, imagination and writing skills. Students must also research and be familiar with the Zoo's three elephants as well as the Zoo's work with elephant research and conservation efforts worldwide.